Servers are still the bread and butter of IT and business technology. But despite sweeping digital transformation initiatives, server hardware remains often overlooked. 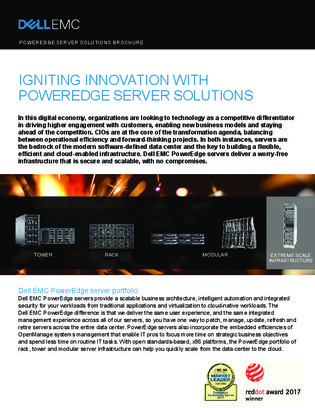 Inside, learn what the latest iterations of server technology – including tower, rack and modular servers – can bring to table for your enterprise, and how they differ from the traditional server tech that’s been propping up data centers for decades – and why that’s a good thing.